Montana Gems of Philipsburg now offering the whole sapphire mining experience by taking you to the mine! Montana Sapphire Mining, Gem Gravel, Mining Kits & Custom Jewelry. This is treasure hunting for the whole family! 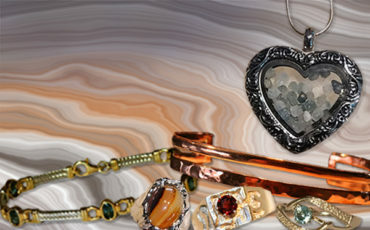 Custom Jewelry, Mining Supplies, Geodes and Local Gem Jewelry Arriving! 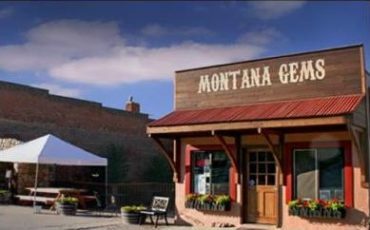 Welcome to Montana Gems of Philipsburg where treasure hunting and the great Montana outdoors come together. Whether you are sapphire mining or looking to do some gold panning just remember that The Fun Starts Here! 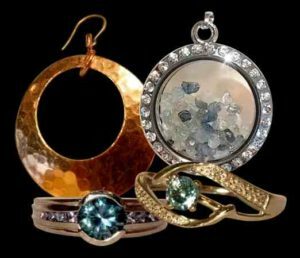 Montana Gems of Philipsburg offers a wonderful selection of custom jewelry, Montana sapphire jewelry and Montana sapphire gravel, including gem dirt from the Yogo sapphire mine. We’re like hitting the rockhound lottery! Explore our site and see our beautiful Montana Sapphire jewelry, Montana garnet jewelry, as well as unique jewelry featuring our Montana Agates, Idaho Opals & Idaho Garnets. 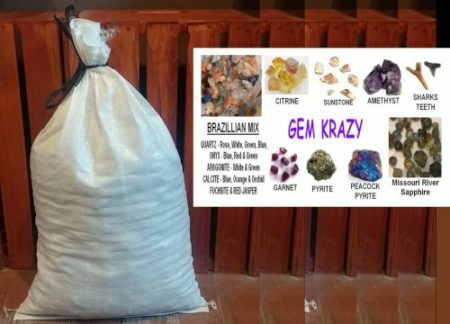 We have a nice selection of loose Montana sapphire, gem gravel, rockhounding supplies and we’ll suggest other fun things to do while gem mining Montana. We found Mt sapphire tends to bring out a little rockhound in all of us. 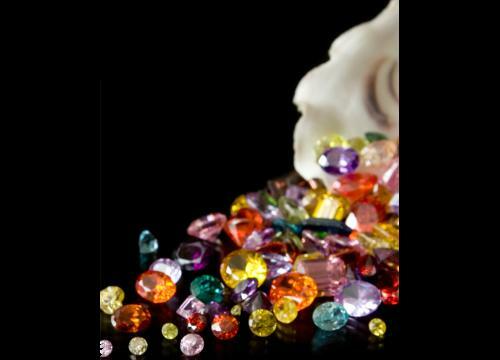 We’ve turned our love for rocks, gems and mining into a business where we could share that experience with you. 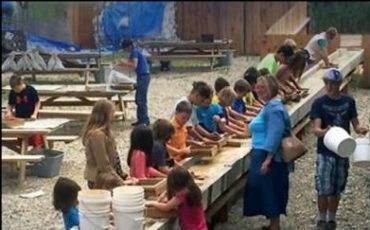 At Montana Gems, you can mine for Montana sapphires using our outdoor running water flume. Montana Gems of Philipsburg carries a large selection of Montana sapphire gravel, gem gravel products, and geodes as well as rockhound supplies for gem mining Montana We also offer a variety of Montana sapphire gravel kits to mine on site or to purchase for an “at-home mining” experience. 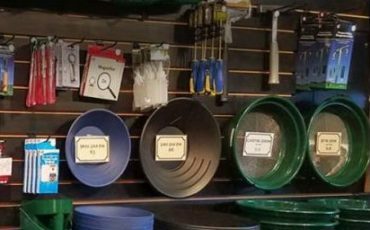 Our store offers everything you need to process your Ruby valley pay dirt or Montana sapphire gem dirt including classifying screens, gold pans, loupes, tools and more. 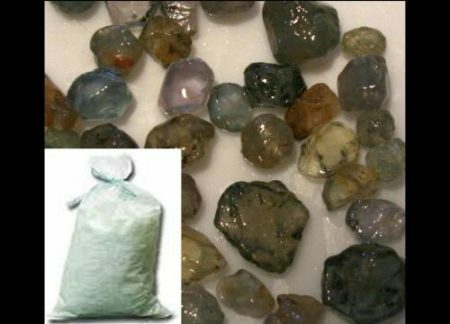 We carry Yogo sapphire ore, Montana sapphire mine gravel and Rock Creek sapphire gravel from Melee Gulch. This Rock Creek material comes from a private claim in the Sapphire Mountains of Philipsburg, below Gem Mountain sapphire mine. Whether you are gem mining Montana or doing some good old Montana gem hunting, Philipsburg, Montana is a great place to start. Sapphire mining in Montana started back in 1892 close to where the gem mountain mine sits today. Many rockhounds today still wonder where to dig for gems in Montana as ground and gem dirt become scarce. We’ve brought the Montana sapphire mine to you so all you have to do is have fun! 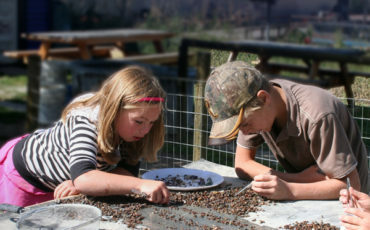 Explore our area Gem mining Montana. 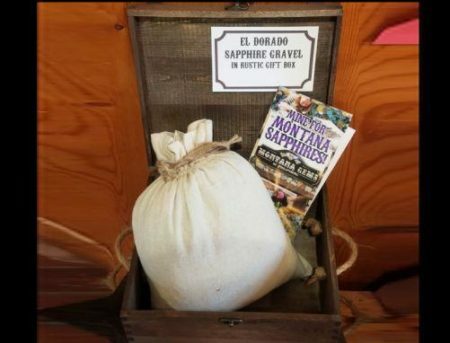 Find your own Montana sapphire rough but be careful not to stumble into someone else’s Montana sapphire mine! Our custom jewelry often showcases the beautiful Montana sapphire. Your design can be created in sterling silver, anti-tarnish silver or in various gold options. We’ll work with you to create a design that fits your style and budget. Perhaps you’re wanting a Montana sapphire engagement ring, we can help you from start to finish. Our custom jewelry can be as unique as you. And if you don’t already have that perfect Montana sapphire, we’ve got a nice selection to choose from. We incorporate our local gems whenever possible, including creating a ready-to-wear custom line of sapphire earrings, Montana sapphire rings, pendants and bracelets. Mine your Montana Sapphire here at Montana Gems of Philipsburg and let us help you create that custom piece that brings a lifetime of memories. Loose Montana sapphire at Montana Gems runs rampant year round all you need to do is pick out the colored sapphire you’re looking for! 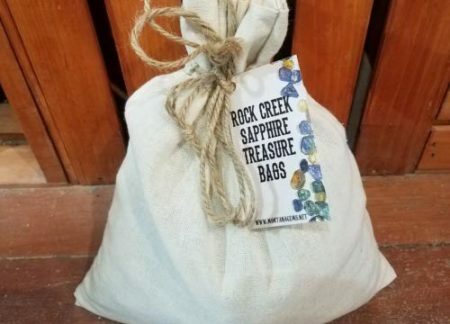 Some rockhounds prefer our unique Montana sapphire jewelry, we carry an amazing selection of Montana sapphire rings, pendants, bracelets, earrings & charms created with our local Rock Creek sapphires and Yogo sapphire. With the start up of the Yogo sapphire mine we should have Yogo sapphire for years to come! 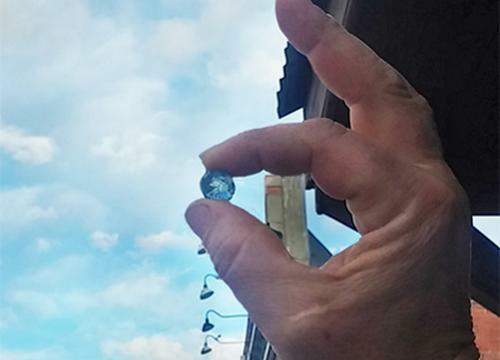 Loose Montana sapphire can be any color of the rainbow and here at Montana Gems we have many to chose from just give us a call, 406-859-6725 and we’ll work together to find your perfect stone! Enjoy our other gemstones like Montana Agates, Idaho and Montana Garnets as well as Idaho Opals. We offer unique gold and silver settings for that one-of-a-kind eye-catching piece that will accommodate your loose Montana sapphire or other gemstone, with prices starting at $49 for sterling silver. If you’re not looking to mine for your own Montana sapphire jewelry then check out our selection of loose Montana Sapphires, Idaho and Montana Garnets or Idaho Opals. 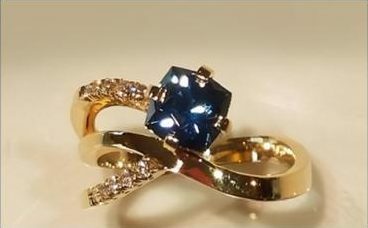 A Montana sapphire ring could be what the docter ordered and can be found in our sapphire gallery. If you don’t find what you’re looking for, our cutters can generally finish a gem to your specifications. 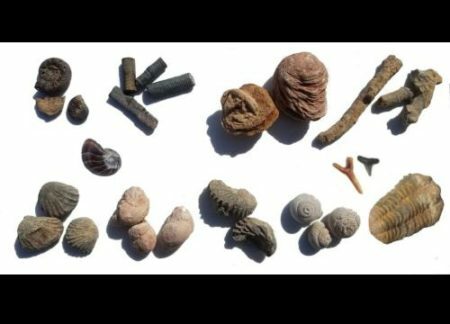 Check out our selection of rockhounding supplies and get ready for some fun things to do in Montana. Rock hunting is a great family past time. Montana is known as the treasure state for a good reason, there is lots of treasure to find. Home to 4 Montana sapphire deposits, and a long history of gold, silver and copper mining, the area produces gems and minerals of all types. Join the fun and get ready to get dirty. Our retail store located in Philipsburg, Montana also offers Geodes and thunder-eggs cut while you watch that are always a fun surprise! If you have time and want to have fun getting dirty, go Sapphire Mining! Our outdoor mining area offers a place to find a treasure of your own. 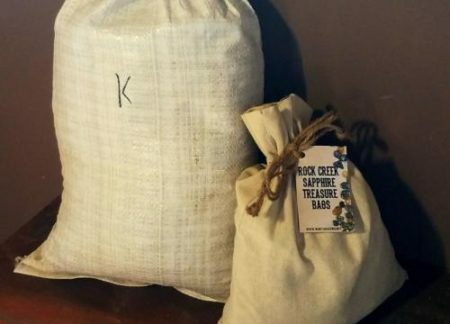 We carry Yogo ore gift bags, mineral specimens, crystals, souvenirs, a large knife selection and more. 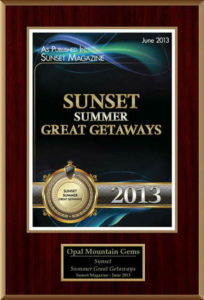 Choose Montana Gems of Philipsburg for a great experience that will last a lifetime. Located in historic downtown Philipsburg, Montana, near the Gem Mountain sapphire deposit. Not far from Yellowstone National Park & Glacier National Park & more!